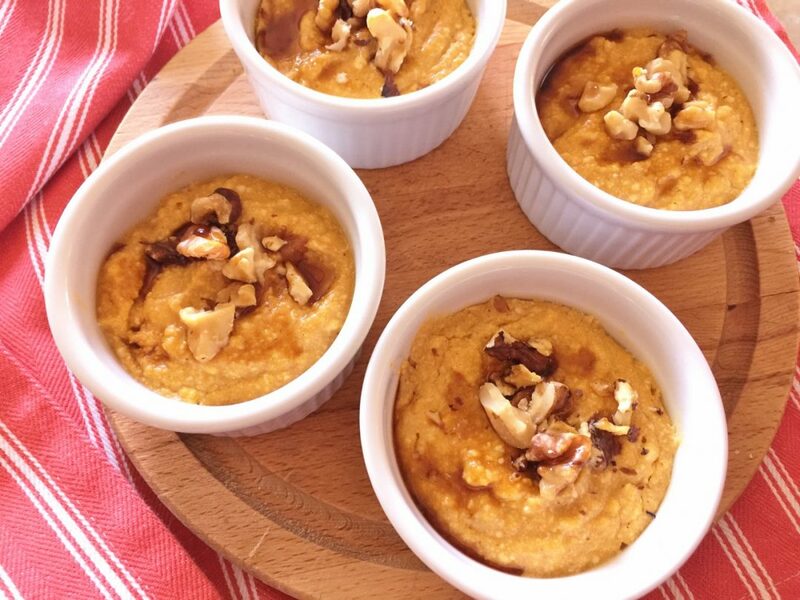 Pumpkin-Ricotta Breakfast Puddings - Recipe! - Live. Love. Laugh. Food. 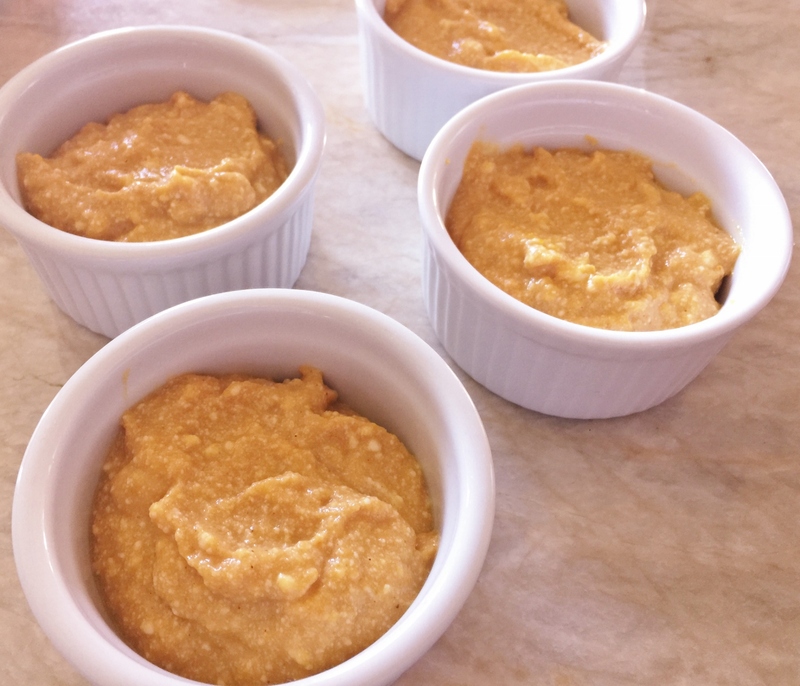 Pumpkin-Ricotta Breakfast Puddings – Recipe! 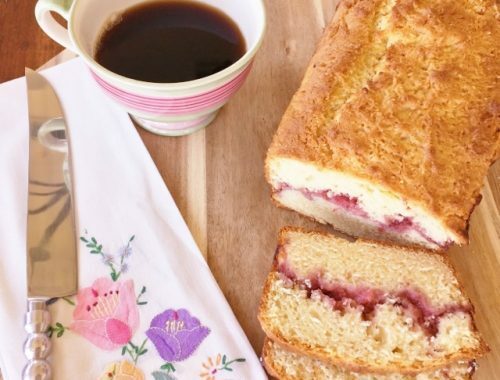 Mornings can be a little hectic now that school is back in session. Toast, juice and maybe a piece of fruit are all that there is usually time for in the morning. I remember when we were kids – my brother, sister and I were not morning people, and my mom could barely get us to drink an Instant Breakfast (protein shakes were not quite developed then). The entire meal experience was rather bleak and boy did we need a little inspiration to eat. Nowadays there are so many more options and ways to put together a morning meal that doesn’t take much time. 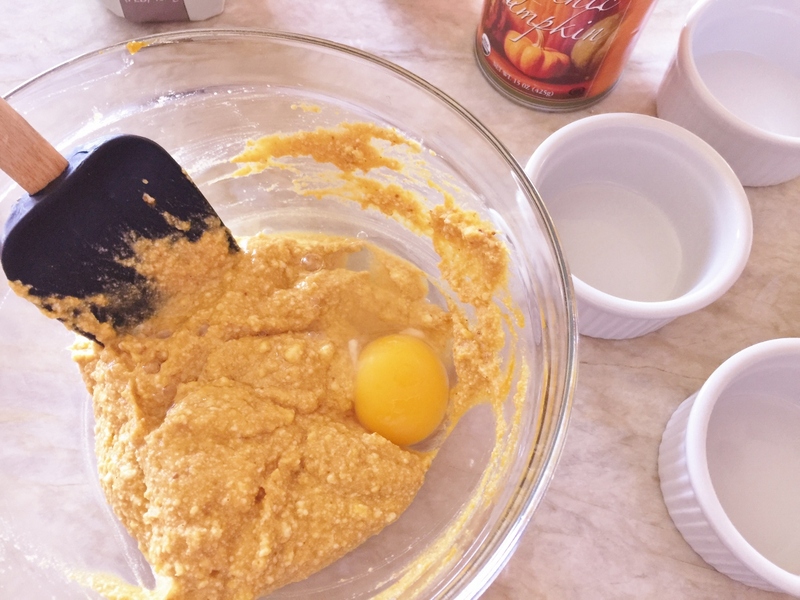 Canned pumpkin is one of those things that most people have in their pantry and should be taken advantage of, especially during this upcoming season. Combining pumpkin with ricotta cheese and microwaving it until warm is my version of a breakfast pudding. A little egg is stirred into the pudding to bind it together, but it doesn’t completely congeal – it stays soft and spoonable. The flavors are comforting and warm and you get a bit of an energy boost from the protein. I like to serve it with walnuts and a drizzle of maple syrup for a nice fall touch. You can also chill the puddings after microwaving, and save them for another day and enjoy them slightly cold. Pudding for breakfast? Now that is something I can wake up for. 1. 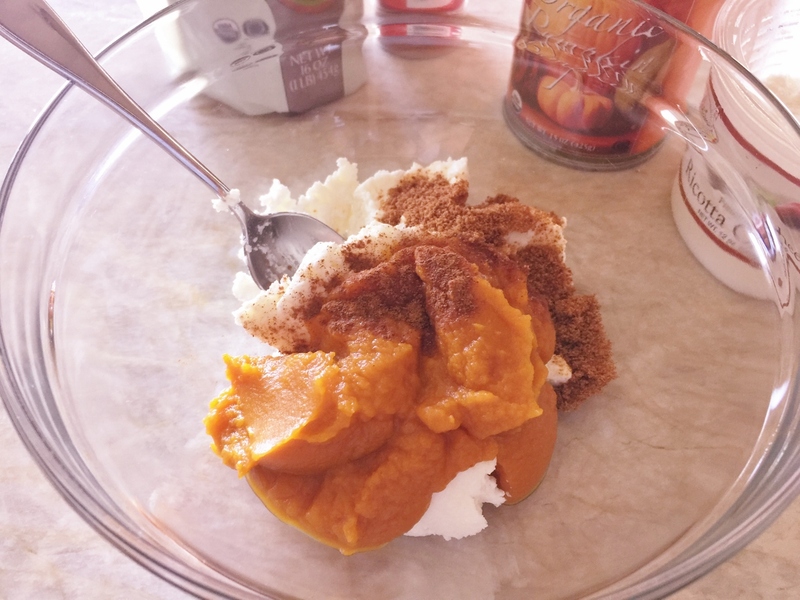 In a bowl, combine ricotta, pumpkin, coconut sugar and cinnamon, stir until combined. 2. Add egg and mix until completely incorporated, about 1 minute. 3. Spoon into ramekins or microwavable cups. Cover cups with plastic wrap or large lid. Place in microwave and cook on high for 2 minutes. 4. Remove and let cool for 1 minute. Top with walnuts and a drizzle of maple syrup. Enjoy! 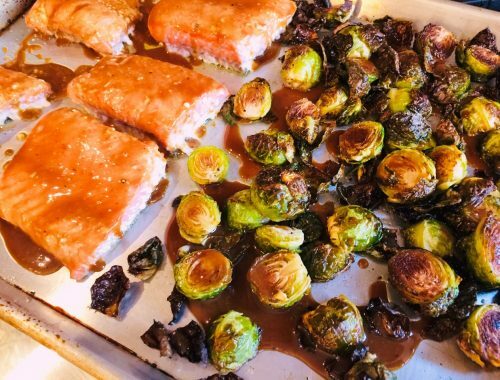 Sheet Pan Honey Mustard Salmon & Brussels Sprouts – Recipe! 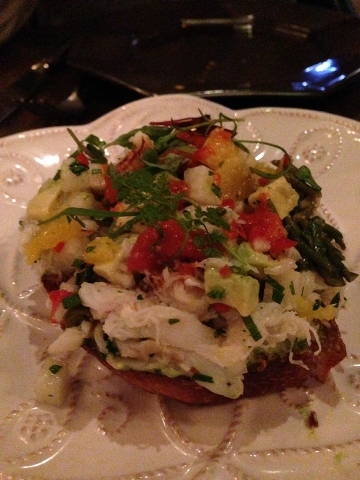 Faith & Flower, Los Angeles – Dungeness Crab Toasts Recipe!